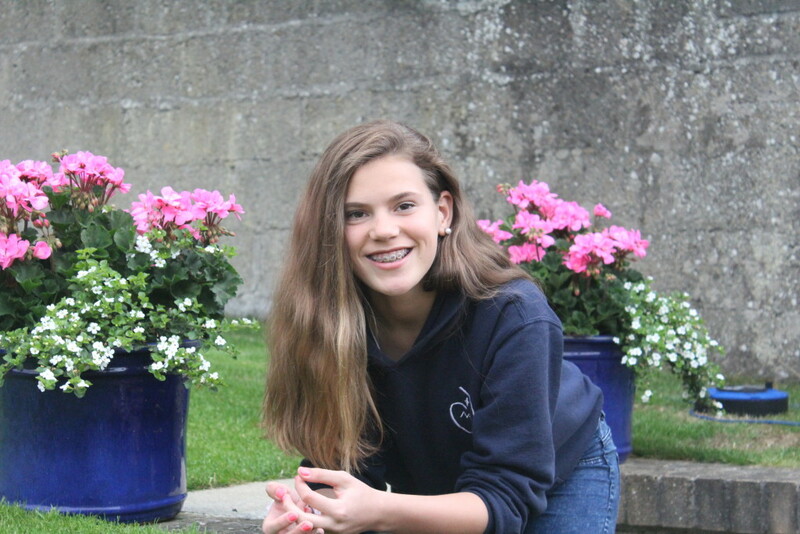 12 year old Marina from Dublin agreed to be a case study for our Small Voices Big Dreams Survey 2015 . We wanted to thank her for helping us shine a light on the hugely important issue of children’s rights. When ChildFund commissioned its annual survey of children’s rights, Small Voices Big Dreams 2015, it set out with a simple, overarching objective; to find out how kids around the world feel about their own rights, and what they have to say about their world. Specifically, we wanted to uncover the things that trouble children the most. As adults, parents, carers or guardians, we can prescribe what we feel, or think to be important for children, in other words, to articulate for them.. Ultimately however, it is only by giving children a platform to air their views that we can truly acquire an insight into their mind-set, and help garner an understanding of how they perceive their own human rights as equal global citizens. As part of a process that saw valued contributions from up to 6,000 children globally, over 100 Irish children took our survey and illuminated their concerns on a range of pertinent issues. It is always important though to have a focal point. For that reason we chose a case study to focus on, and Marina from Dublin, with her parents’ consent, was generous enough to be that person. A bright, astute and thoughtful girl, Marina showed great articulation and intelligence in expressing her thoughts on children’s rights. Indeed, she impressed us so much we can see how Marina could develop into a powerful advocate for children, or indeed any other cause she chooses to put her mind to in the future! It was for all those reasons and more that we wanted to thank Marina, who was kind enough to visit the ChildFund offices with her mother just before Christmas. Marina was presented with a certificate of appreciation for her assistance in helping us highlight children’s rights. The release of the Small Voices 2016 survey received a considerable degree of coverage in the Irish media, including this piece from the Irish Examiner. 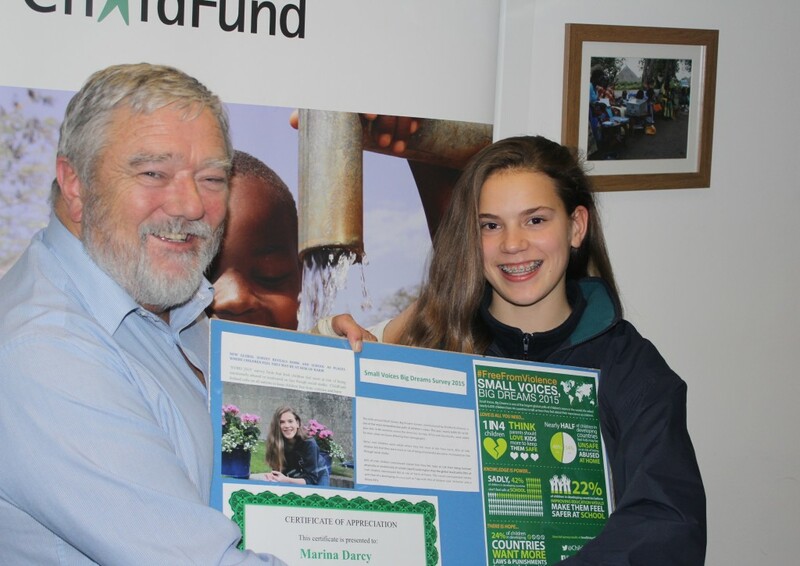 ChildFund Ireland would like to sincerely thank all those children who took part in the 2015 survey and in particular, would like to extend a debt of gratitude to Marina and her family for helping us shine a spotlight on the critically important issue of children’s rights.